How Do You Protect Yourself and Your Company From Top Corruption Risks in Latin America? “…two areas of government were seen to create consistent concern for executives in almost every country surveyed – customs and police. Almost two-thirds of respondents rated these government functions as having “significant corruption” in the countries in which they have experience. The reasons for this finding are complicated. 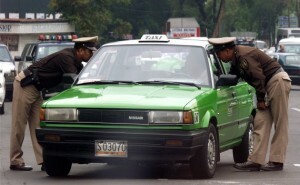 Although customs and police officials at higher levels can certainly create corruption risk (the Bizjet enforcement action appears to have involved payments to relatively high-level Mexican Federal Police), these risks are most often associated with lower-level officials – like traffic police and port officials. These officials often have lower levels of education. Their wages are low. They are often required to seek rent through other sources, like bribe requests, to bring in enough money to support their families and cover basic needs. These areas of government are often described as less formal and more unprofessional. But these facts do not change the reality that petty corruption can be just as insidious to the development of a country as can grand corruption. It can also be just as disruptive to business. These facts also do affect the expectations of ethical practices placed on companies operating in the region. To comply with laws like the Foreign Corrupt Practices Act (FCPA), employees must always refuse bribe requests. What are the implications of this finding for FCPA compliance programs? When working in Latin America, compliance practitioners would be wise to tailor their programs to be particularly robust in responding to customs and police risk. Here are just a few tips. – Make sure you have written policies that include facilitating payments and duress and extortion, which are common to petty corruption. – Know the local terminology for corruption. Knowing words like mordida in Mexico and propina in Brazil will help you track and identify issues when they occur and train your teams to avoid them. – Design training role-plays to include examples of petty corruption. What do you do when the policeman pulls you over and refuses to let you go without a payment? – Be particularly careful with the third parties (ie, customs agents) you use in these areas. Due diligence on dispachantes, gestores, and other support is essential. Do not stop there – ongoing monitoring and testing is just as important. – Build customs delays into your business plans. In many countries, delays will happen. You can be sure of this. But the pressure for an employee to make a payment is much less when your business model expects a wait. – Do not give police a reason to pull you over. For example, make sure your company cars are fully compliant – that your licenses and registration are updated, and that the tail lights are working. Periodically train your drivers on road safety. – Have communications mechanisms in place so employees can seek compliance feedback in real-time when issues arise. Your local compliance officer surely has a cellphone and can be called in the middle of the night. – Make sure your teams know who is and is not a foreign official for purposes of the FCPA. Are private companies used by a government to scan containers at a port? – Spend extra time in your compliance audits on reviewing transactions related to police and customs. Petty cash disbursements are a good place to start. – Use the FCPA as a shield. When a bribe request is made, tell the policeman or customs agent that you do not want to be rude, but you simply cannot make the payment. If you did, you would lose your job. – Be ready to wait. Delays are often the corrupt official’s best friend. The policeman might make you wait at a checkpoint until he decides to finally let you go. Bring a book. The FCPAméricas blog is not intended to provide legal advice to its readers. The blog entries and posts include only the thoughts, ideas, and impressions of its authors and contributors, and should be considered general information only about the Americas, anti-corruption laws including the U.S. Foreign Corrupt Practices Act, issues related to anti-corruption compliance, and any other matters addressed. Nothing in this publication should be interpreted to constitute legal advice or services of any kind. Furthermore, information found on this blog should not be used as the basis for decisions or actions that may affect your business; instead, companies and businesspeople should seek legal counsel from qualified lawyers regarding anti-corruption laws or any other legal issue. The Editor and the contributors to this blog shall not be responsible for any losses incurred by a reader or a company as a result of information provided in this publication. For more information, please contact Info@MattesonEllisLaw.com. The author gives his permission to link, post, distribute, or reference this article for any lawful purpose, provided attribution is made to the author. De nada, Rodrigo. Nos vemos pronto! contains awesome and truly excellent information for visitors.